Sign up to receive updates, commission availability, and special offers from Angelic Artisan: The Artisan Crafts of Angela R. Sasser! I will only send my letter to you once every quarter or on very special occasions that I feel are important. 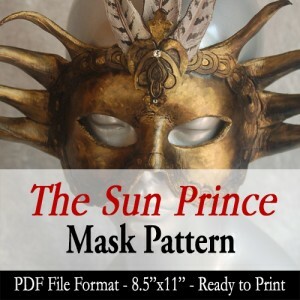 When you sign up, you’ll receive a FREE download of my leather mask-making tutorial + a free Sun Mask pattern (a $6.99 value) to help you explore mask-making! An email with download links should arrive within an hour of your subscription to my mailing list.